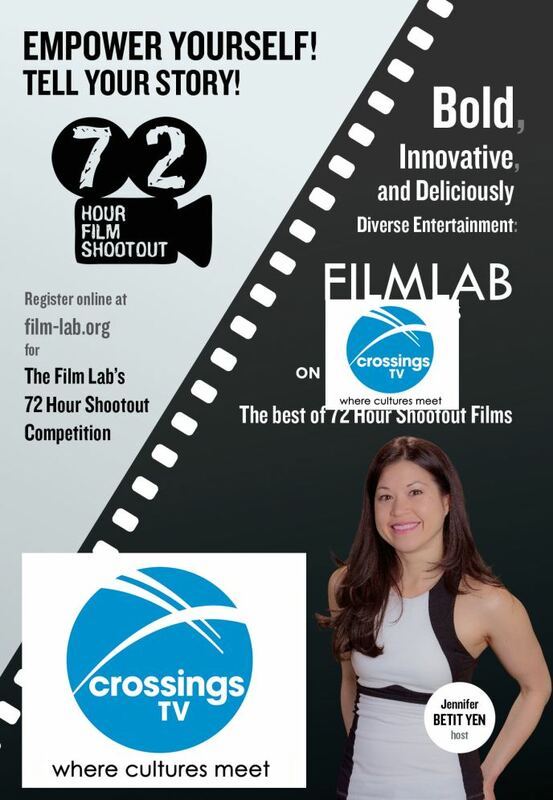 AAFL TV to Premiere New Season of Film Lab Presents on CrossingsTV and Release New Movie! CrossingsTV will be televising a new season of fresh, innovative and "deliciously diverse" entertainment from the Film Lab and AAFL TV beginning on April 28th. AAFL TV will also release the film The Opposite of a Fairy Tale this summer. CrossingsTV Marketing Director, Daniel Sakaya, said, "CrossingsTV is literally where cultures meet. We're excited to provide our viewers with Film Lab's fresh, innovative entertainment." For more on AAFL TV, please visit www.film-lab.org and www.Facebook.com/AAFLTV. AAFL TV is also releasing a new film this summer, The Opposite of a Fairy Tale, inspired by the screenwriter's grandmother's real life story, to bring elder abuse to the public through an entertaining and eye-opening movie. In the film, a social worker, Celeste, befriends a quiet woman at a nursing home and uncovers what most of America is unaware of - the all too typical and all too secret world of elder abuse. The film was made possible, in part, through a grant from the Asian Women's Giving Circle. The Opposite of a Fairy Tale focuses on (1) changing community attitudes about elder abuse, (2) making our communities more accepting of survivors, particularly when women are the victims and (3) educating viewers on how to prevent and address elder abuse through easily accessible, entertaining and creative storytelling. More information about the film is available on IMDb and at www.TheOppositeOfAFairyTale.com. Founded in 2005, Crossings TV fulfills the entertainment and information needs of Asian American communities. In so doing, Crossings TV's foremost goal is to provide locally-oriented, produced and marketed programming and content. Working with key, local representatives in each of the markets it serves, Crossings TV is a unique, grassroots intermediary, efficiently linking its targeted audiences and commercial, non-commercial and governmental entities. The Film Lab is a 501(c)(3) not-for-profit organization which began working to promote diversity in media in 1998. The Film Lab's president, actor Jennifer Betit Yen, founded AAFL TV in August 2013 to address an explosion of interest in diverse, original creative content along with a corresponding rising level of dissatisfaction with mainstream programming for a lack of diversity and/or perpetuation of racial stereotypes. AAFL TV's mission is to provide innovative, contemporary, original content by, for and about diverse Americans - content that accurately reflects our heterogeneous country both in front of and behind the camera. One of the ideas behind inviting submissions from all over the globe is to empower creatives by providing a platform for diverse filmmakers to present unique and independent content and to be part of something bigger, showing the world that diverse talent is not only present, but powerful, with a voice and a stage on which to see and hear it. AAFL TV launched its first pilots as web series in September 2013 and then partnered with NYCMedia, New York City's flagship media station, to begin airing a television series entitled "Film Lab Presents," consisting of 30 minute episodes of racially diverse original contemporary entertainment content in January 2014. The Film Lab is run under the direction of President Jennifer Betit Yen. Board members include Aaron Woolfolk, Chloe Jenkins and Daryl King. Management includes Mahima Saigal. The Film Lab's other programming includes filmmaking workshops with industry professionals, screenwriting contests, and film competitions, including the annual 72 Hour Film Shootout (the "Shootout"). This annual competition, now in its ninth year, has inspired hundreds of filmmakers by helping nascent talent take brave steps towards a filmmaking career. 2016 marks the 12th year Asian CineVision will partner with Film Lab to promote the Shootout at the Asian American International Film Festival ("AAIFF"). AAIFF is New York's leading festival for independent Asian and Asian American film and video, and the first and longest-running U.S. festival of its kind. It will be the first time the winning Shootout films will screen at film festivals in both New York City and Los Angeles. As an integral part of AAIFF, the Shootout celebrates the creativity and genius of the directors, their casts and crews as they share stories by, about and for Asian Americans and other filmmakers of color with the world. AAIFF has played a vital role in discovering and nurturing such acclaimed talent as Wayne Wang (THE JOY LUCK CLUB), Ang Lee (CROUCHING TIGER, HIDDEN DRAGON, BROKEBACK MOUNTAIN), Mira Nair (THE NAMESAKE), Zhang Yimou (HOUSE OF FLYING DAGGERS), Christine Choy (WHO KILLED VINCENT CHIN? ), Steven Okazaki (THE MUSHROOM CLUB), Jessica Yu (PING PONG PLAYA), and Justin Lin (FAST FIVE).